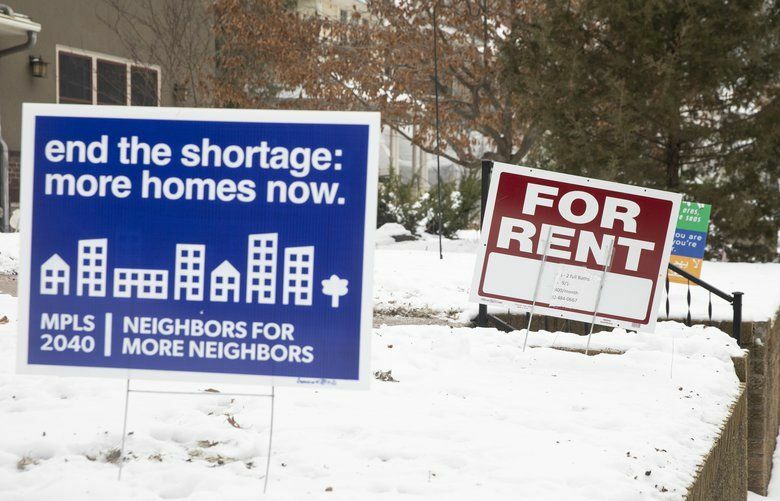 Podcast: Minneapolis ends single-family zoning — could Seattle follow suit? Minneapolis is the first major city to open up every neighborhood to denser housing options. Activist Anna Nelson explains how the city got there, and whether there are lessons for Seattle and other cities. Minneapolis made national news recently with a 12-1 City Council vote to eliminate single-family zoning everywhere. It’s the first major city to do that, but the movement to rethink exclusive single-family zoning is spreading. In Oregon, state House Speaker Tina Kotek has proposed banning such zoning in all cities with populations of more than 10,000. As Seattle wrestles with an affordability crisis, some politicians are pushing to open up housing options by easing regulations on mother-in-law apartments and backyard cottages. But even those incremental steps have been controversial, and 69 percent of the city remains dedicated to single-family homes. On Episode 97 of The Overcast, hosts Jim Brunner and Daniel Beekman are joined via phone by Anna Nelson, an organizer with the Minneapolis group Neighbors for More Neighbors, which pushed for that city’s sweeping zoning changes. Like in Seattle, Minneapolis single-family zones have historically been less diverse — essentially perpetuating what once were overt racial-exclusion policies. Nelson says the history was important in the debate, noting that the city at the turn of the century had allowed duplexes and small apartment buildings alongside single-family homes, only to see more restrictive zoning imposed in the 1960s. In that sense, the city’s new density plan may not be so new after all. Still, the changes did encounter push back, with opponents worried about their neighborhood character planting lawn signs declaring: “DON’T BULLDOZE OUR NEIGHBORHOODS,” as MinnPost reported. This episode was recorded at the Seattle studios of public radio 88.5 FM KNKX. Send us your feedback and your ideas for future topics. Leave a comment on this post, tweet at us (@Jim Brunner and @DBeekman), email seattletimesovercast@gmail.com.